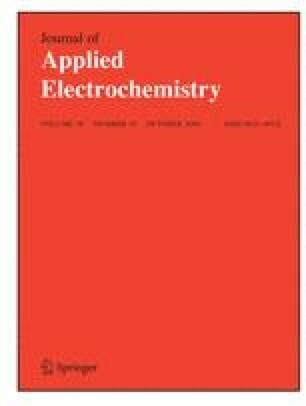 The electrochemical properties of bare and Co3(PO4)2-coated LiNi0.8Co0.16Al0.04O2 electrodes after high current damage testing were characterized. Damage was induced by cycling with a high current density of 600 m Ag−1. Co3(PO4)2-coated LiNi0.8Co0.16Al0.04O2 electrodes exhibit lower capacity loss and better charge retention than bare LiNi0.8Co0.16Al0.04O2 electrodes after damage testing. The discharge capacity reduction of bare and Co3(PO4)2-coated electrodes after damage testing were ∼27 and 15%, respectively. The impedance of cells containing bare electrodes remarkably increased after high current cycling, which may be induced by damage to the electrode surface. However, damage was successfully suppressed by the Co3(PO4)2 coating. Bare LiNi0.8Co0.16Al0.04O2 electrodes developed large amounts of cracks and other extended defects after high current cycling. In contrast, Co3(PO4)2-coated electrodes maintained stable features after high current cycling, indicating the coating layer effectively protected the surface of the LiNi0.8Co0.16Al0.04O2 powder. This work was supported by the Division of advanced batteries in NGE program (Project No. 10016454).